Property Investing 101: What does the Autumn Budget have in store for buy-to-let landlords? 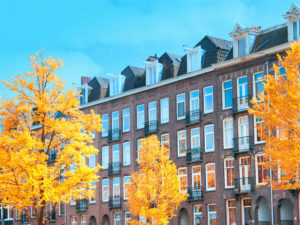 What does the Autumn Budget have in store for buy-to-let landlords? What will the Autumn Budget Statement have in store for buy-to-let landlords? The UK’s housing market has been a political hot cake for some time now, but this autumn has seen the housing crisis pushed sharply up the government’s agenda. Of course talk is one thing, but putting proposals into meaningful action is an entirely different concept and the forthcoming Autumn Budget, Philip Hammond’s first as Chancellor of the Exchequer, is the perfect opportunity to do so. Buy-to-let landlords will be casting an interested eye on announcements from Parliament on November 22. The past two years have seen enormous change in the private rental sector. The reduction of mortgage interest tax relief, the introduction of the 3% stamp duty levy on second homes, the change to the “wear and tear” allowance, the introduction of new minimum energy efficiency standards and forthcoming changes to the way landlords have to report tax to HMRC. Factor in the first two tranches of changes from the Prudential Regulatory Authority and the drafting of a new bill to put an end to letting agent fees, and landlords have every reason to cast a nervous glance towards Westminster. With prevalent house prices and stamp duty pricing thousands of people out of home ownership, and a lack of affordable housing, these would-be buyers still need somewhere to live – and the private rental sector has risen sharply over the past decade, with data from the English Housing Survey showing the number of people renting has risen from 2.4 million in 2005-06 to 4.5 million in 2015-16. The government has pledged to build 1 million homes by 2020 and in October committed a further £10bn to its Help To Buy scheme, which aims to assist first-time buyers with the deposit element of buying a new home. However, how much of the housing crisis the above will alleviate in the longer-term, is open to question. Are these concepts merely short-term solutions to a problem which will be ongoing, will take years to solve and does not factor in possible future population growth and the housing demands this will bring? Affordable housing is certainly part of the solution, but private renting inevitably is going to need to step up to the plate too. There has been plenty of speculation that stamp duty is set for reform. Much of the talk has been around scrapping stamp duty altogether for first-time buyers and older people looking to downsize. This would help to make property ownership more affordable from the outset for younger people, whilst financially helping older people to downsize properties, making them available to families looking to buy bigger homes. Elsewhere, rumours suggest that first-time buyers could be incentivised by a 1% cut in stamp duty, rather than its complete abolition. One of the possible knock-on effects of this would be to get the housing market back into full motion, which in turn could impact on house prices. At the same time, more homebuyers might reduce the volume of people looking to rent property, potentially diminishing market demand for buy-to-let landlords. Meanwhile, Mark Farrar, chief executive at the Association of Accounting Technicians (AAT), has suggested that the stamp duty liability should fall on sellers, rather than buyers. He suggested that the current model for stamp duty “stunts mobility, impacting on employment and productivity”. Longer tenancy agreements through incentives? The government has put a big onus on improving the renting environment for tenants recently. One of the issues that both tenants and landlords could benefit from is longer tenancy agreements. There is a train of thought that landlords willing to offer tenants longer-term agreements, could receive tax incentives to do so. Indeed, addressing the Conservative Party Conference a few weeks ago, Sajid Javid, the Secretary of State for Communities and Local Government, hinted that the Autumn Budget could outline in more detail, exactly how this could take shape. Whilst this has yet to be defined, ARLA Propertymark has recommended that this could manifest in the form of tax relief – something landlords have been very short of in recent months. From April 2018, new Minimum Energy Efficiency Standards become mandatory for landlords and rental properties will have to have a minimum rating of E before they can be let out to new tenants. As a consequence, and with time ticking towards the deadline, landlords are having to spend more money to make the necessary improvements. ARLA’s David Cox wrote to the Chancellor with a number of recommendations to be announced in the Autumn Budget. One of these was to suggest a return of the Landlord’s Energy Savings Allowance (LESA), which previously permitted landlords to offset costs associated with energy efficient improvements, against their taxable income, up to April 2015. Perhaps a less likely eventuality is a repeal on the restriction imposed by the loss of mortgage interest tax relief, which is gradually being reduced to the basic rate of Income Tax (currently 20%). Cox has suggested that a u-turn on this, along with the creation of a new housing court to mediate in tenancy disputes and help expedite the eviction process, would go a long way to restoring landlord confidence. “Combining the housing court with tax incentives such as repealing the punitive restrictions on mortgage interest relief should provide landlords with both confidence in the legal system and financial incentives to offer longer-term tenancies,” he said. Another concept would be to roll over capital gains in cases where a landlord sells a property, but then reinvests in another rental home.